Sometimes I like to take part in the WordPress weekly photo challenges, especially when I feel particularly inspired by a theme. The theme this week is ‘kiss‘, chosen of course for Valentine’s Day. 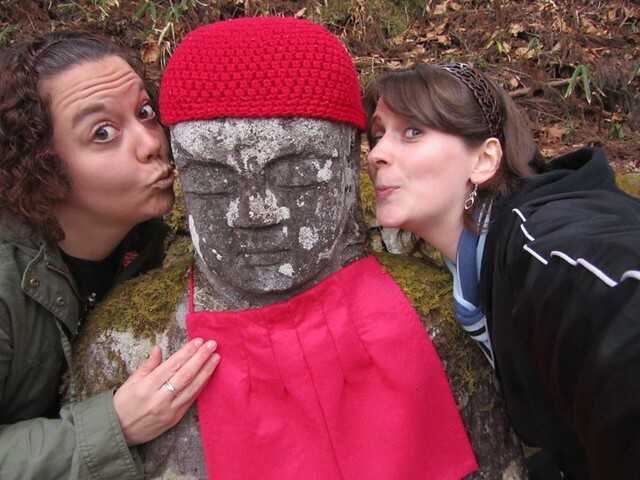 I’m not the biggest fan of Valentine’s Day, but this theme instantly brought to mind an amusing photo I took with my friend Jenny when we were in Nikko together in 2011, so I thought I’d share it with you this evening for a giggle. I think Jenny actually took the photo, so all credit goes to her.